Themes you will find pertinent to the ever-changing market we work in abound in this issue: occupied with, protecting, and taking influence from Mother Nature; a focus on the hospitality sector; attention to the details, bringing out innovative textiles and surfaces; more international and multi-cultural nuances; and the new generation of creatives that look at the world a bit differently than generations that came before them. Get inspired with the January edition! We attend over 100 design events a year on your behalf to bring you trend insights and design movements to help you maintain cutting-edge knowledge of the lifestyle and design markets. Currently we keep readers in 8,923 cities within 161 countries/territories in the know! Are you reading Trendease.com? Worldwide — A very Happy New Year to each and every one of you! The Trendease Team would like to wish you a prosperous and satisfying 2011, loaded with inspiration and fulfilling design. In this gallery read about themes you will find pertinent to the ever-changing market and see a selection of images revolving around outdoor living. As it has already been well established, people are paying more attention to outdoor areas, so are designers and manufacturers. London — The European Hotel Design Awards, presented as part of The Sleep Event, recognize the outstanding achievements of architects, designers and developers. In this gallery see the winners in such categories as best conversion of an existing building to hotel use; café, bar, nightclub or lounge; restaurant; spa, health and leisure facilities; and suite. Multiple European Cities — This is an amazing feature on material innovation! Furniture, fashion, textiles, wall treatments, interior and architectural projects—and even sporting equipment—are being renewed and freshly constructed. Embroidery, layering, folding, cutting, and unique detailing are turning heads, including ours. 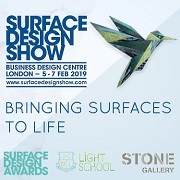 Interactive designs, urban renewal, inspiration from animal transformations, and cultural reinterpretations are just some of the topics uncovered here within. Worldwide — This gallery will have you enjoy its wit and cleverness, or at the bare minimum make a smile spread across your face. And this could be more important than you think! From sweet childhood memories to kitsch or ironic creations ranging from flocked Mona Lisas, happy hair rugs and dish scrubs, to mittens that flip you off and entertaining cutlery for dinner guests, these 50+ designs could even improve one’s health! Worldwide — More and more we see the desire of man to be closer to nature, embracing it, mimicking it, paying homage to it, and taking inspiration from its vast beauty. Fibers, forms, patterns, and raw materials are gracing exhibition floors from Thailand to France, the UK, the Netherlands, and beyond. Soon find them in shops and interiors near you! Paris — Created by Rafaële David and Géraldine Hetzel, az&mut is an atelier, located in the 18th arrondissement of Paris, developing home accessories and furniture. The name of the company derives from the word azimuth, which the ladies define as “one who uses all means and has a variety of aims.” During our interview it was clear that this duo of azimuts certainly has ambitions. Learn about their latest creations here. Worldwide — This is a piece that we had fun with. Now, we are not talking the pure form French pouf from the 1800s, but a more modern and diverse pouf of the new millennium. The plethora of designs finding their way to the marketplace are diverse in their material from manmade “Astroturf” and mold injected plastic, to natural cotton, to suede and fur. Jerusalem — Designers are experimenting with the latest technology while embracing the ancient natural resources of the land, such as wood. Itamar Burstein, born in Haifa, Israel in 1974 is one of these product developers. The inspiration is as vast as his talent. Combining these elements with materials and know-how has resulted in internationally successful product ranges from Israel to France. Bangkok — An abundance of traditional craftsmanship makes up these modern visions of design from the new talent scouted during a recent trip to Asia. 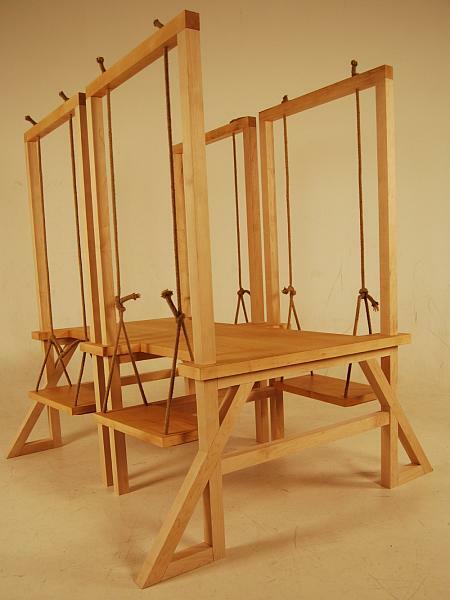 We are content to see weaving techniques and materials such as silk, bamboo, and other woods being used in old-style manners with innovative applications. Start the New Year right with these textiles, tabletop pieces, lighting creations, office accessories, furniture, and floor coverings! 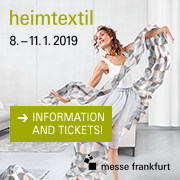 Frankfurt — Guten tag from Heimtextil! Feeling a bit discombobulated with the new layout of the show, we overcame the fact that our annual walk-through plan of action was out the window, and soon came to realize that the updated hall planning is, in fact, quite an improvement. And here is the moment many of you have been waiting for, our unveiling of the trend forum presented at this year’s Heimtextil: R-E-C-O-N-N-E-C-T! Frankfurt — “The global financial crisis, natural catastrophes, a surfeit of products and information are causing people to pause to think about and reflect on their current lifestyle. Nowadays, a decisive factor in purchasing decisions is the consideration about what is really important. Consumers are sick of design for design’s sake, Utility stands for simplicity, accessibility and an invitation to use." Frankfurt — “The world we live in is high-tech and consumption-controlled, confidence in governments, economic structure and energy supplies has been shattered. So consumers are striving for more self-reliance and want to achieve an ultra-sustainable lifestyle. In order to achieve this, some are breaking free of their normal way of life in a radical way and adopting the Wilderness lifestyle, which means being at one with nature." Paris — Many of you are probably in Paris now for Maison&Objet and the surrounding events. Ah, and what to do the day before the show opens? Our team was busy exploring the evolved PDO, aka Paris Deco… Off. What is PDO? It has grown to be the offsite event for interior designers and decoration editors spread throughout showrooms (temporary and permanent) around the City of Light focusing on textiles, floor coverings, wallcoverings, passementeries, furniture, lighting, and accessories. Paris — At Porte de Versailles, Paris where Who’s Next and Premiere Classe met in the middle of hall one, attendees could dance around the four trends presented and explore the wide selection of products for the coming seasons. Even those from outside the world of fashion will certainly appreciate the directions laid out.